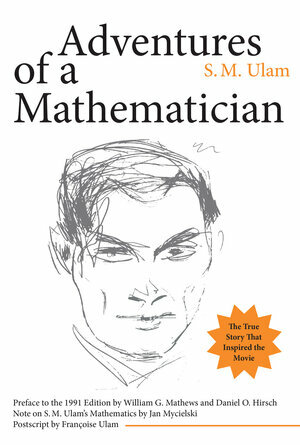 The autobiography of mathematician Stanislaw Ulam, one of the great scientific minds of the twentieth century, tells a story rich with amazingly prophetic speculations and peppered with lively anecdotes. As a member of the Los Alamos National Laboratory from 1944 on, Ulam helped to precipitate some of the most dramatic changes of the postwar world. He was among the first to use and advocate computers for scientific research, originated ideas for the nuclear propulsion of space vehicles, and made fundamental contributions to many of today's most challenging mathematical projects. With his wide-ranging interests, Ulam never emphasized the importance of his contributions to the research that resulted in the hydrogen bomb. Now Daniel Hirsch and William Mathews reveal the true story of Ulam's pivotal role in the making of the "Super," in their historical introduction to this behind-the-scenes look at the minds and ideas that ushered in the nuclear age. An epilogue by Françoise Ulam and Jan Mycielski sheds new light on Ulam's character and mathematical originality. S. M. Ulam (1909-1984) was born in Poland and was a key member of the now legendary Polish School of Mathematics. In the United States from 1935 on, he received many academic appointments and honors and authored many articles, essays, and mathematical books, including Analogies between Analogies (California, 1990). Daniel Hirsch is President of the Committee to Bridge the Gap, located in Los Angeles. William G. Mathews is Professor of Astrophysics at the University of California, Santa Cruz. Françoise Ulam is a resident of Santa Fe, New Mexico. Jan Mycielski is Professor of Mathematics at the University of Colorado.